Did you know you can tie the knot at Sloans? 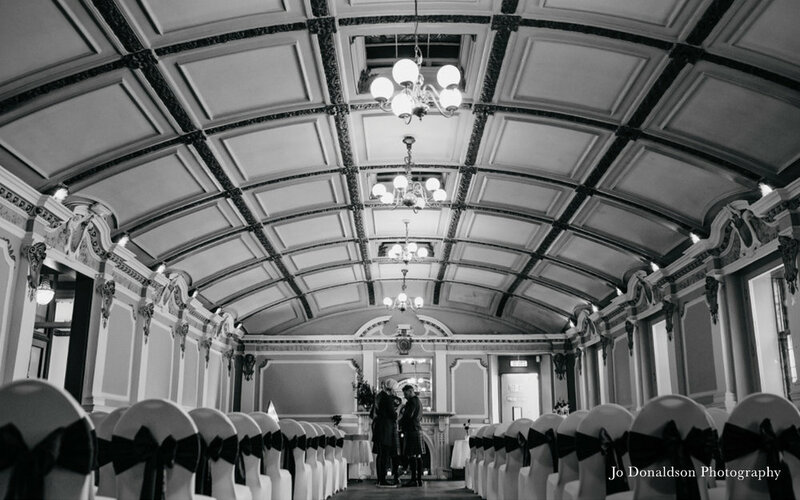 Our Grand Ballroom is one of the most beautiful spaces in the city centre, and is bursting with charm and history. Get in touch to find out more or pop in for a tour - we'd love to show you around our beautiful venue. 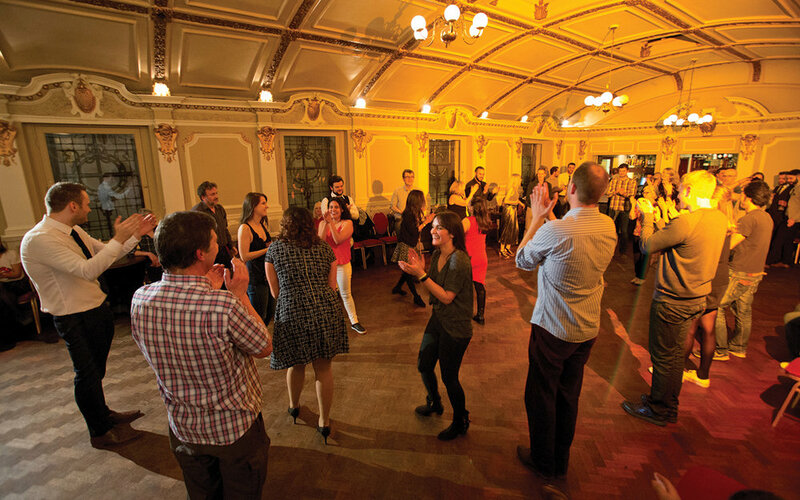 Our ballroom's a bright and beautiful space on the second floor with parquet flooring, gilt cornicing, ornate stained-glass windows and a stunning original fireplace and private bar - perfect if you're looking for a completely unique city centre venue that's steeped in history. On the first floor, our restaurant's a beautiful space with lots of lovingly restored original features and plenty of room for dinner, dancing and merriment - and can be booked alongside the Snug and/or Private Dining Room to give you full exclusive use of the first floor. Small and lovely, our elegant private dining room is full of beautiful features including gilt cornicing, rich mahogany and ornate windows, and is the perfect space for intimate wedding celebrations for up to 24 guests dining, or if you're booking the restaurant, you can add the private dining room on for extra space. A cosy wee private bar opposite the first floor restaurant where guests can take a breather from all the dancing and grab a drink - or where the groom can take a moment to prepare himself before the speeches! You can also book the use of our outdoor courtyard area which can hold up to 100 people - it also makes a fantastic backdrop for photos - with fantastic murals by street artist Conzo Throb and Cieran Globel in the tunnel leading into Sloans. Thanks for thinking of Sloans for your big day! We have two floors of stunning spaces that can be booked individually or together - and a team of friendly wedding planners to help every step of the way. Which space are you interested in? The Grand Ballroom The First Floor restaurant Both Floors Private Dining Room Snug Not sure yet!